Weather proof, detects movement up to 15 feet away, and ultrasonic tone covers up to 5000 square feet. 7.5" x 4" x 3.75" and includes mounting hardware. 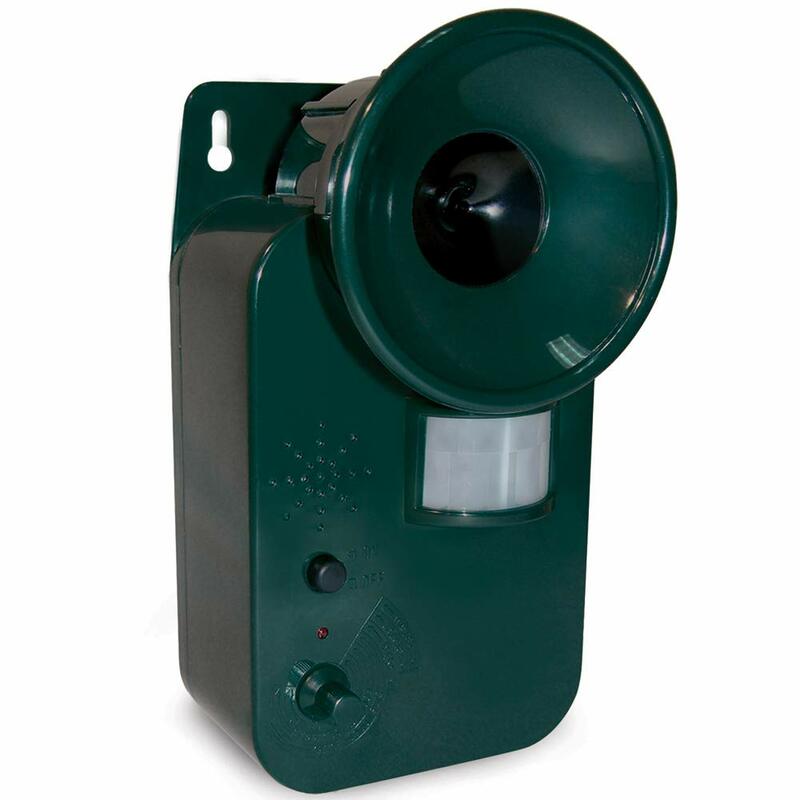 This ultrasonic cordless repeller drives away stray cats, dogs, skunks, rodents, bats, insects, deer and many other creatures without hurting them (except for intense audio irritation, that is). Simply set the dial to target specific pests. When the motion sensor detects movement up to 15ft. 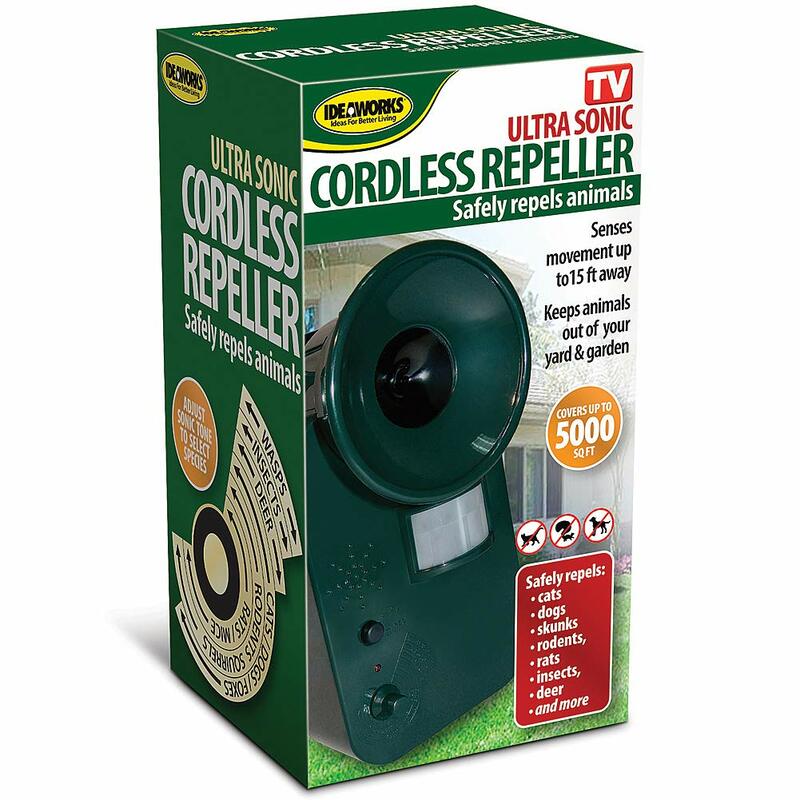 away, the appropriate ultrasonic tone activates and scares off the animals you've targeted, keeping them away from your yard or garden. This 7.5in.L x 3.8in.W x 3.7in.H unit effectively covers up to 5000 sq. ft. Operates on 6 C batteries (not included). This humane, easy-to-use unit includes hardware for mounting on a post or wall near a place frequented by pests.